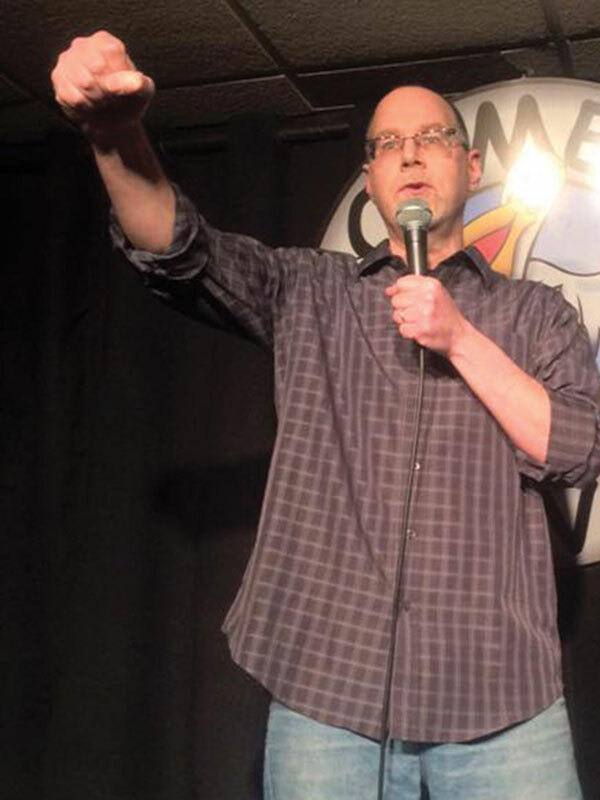 Comedian Alex Bernstein in the spotlight at Scotty’s Comedy Cove in Springfield. What kind of author writes a book with a seemingly unpronounceable title, refuses to divulge its meaning in an interview promoting its publication, and insists that a person read the first half before learning what the word means? He’s Alex Bernstein, a middle-aged “nice Jewish boy” who lives in Cranford. The title of his book is Plrknib. It is pronounced “plerknib” and is the punchline of a joke that appears half-way through his narrative. It is his story of exploring a passion for amusing people that began while in high school. About halfway through the book “the narrative turns on this one joke. The joke becomes crucial to the narrative and its punchline is ‘plrknib,’” Bernstein said. Bernstein said he has “a day gig” as a marketing director for a New York investment firm. So to counterbalance a job that he calls “too serious,” he teaches comedy classes at Temple Sholom in Scotch Plains and does a stand-up act at clubs in New York and New Jersey. “I did it [comedy] aggressively when I was a kid, and as an adult I came back to it after a 25-year break when I was asked to perform at fundraisers with all-Jewish content,” he told NJJN. Although he has taught non-Jews and Jews in a summer workshop at the temple, Bernstein declared “I am absolutely” a Jewish humorist. But when he makes jokes about his childhood struggle to learn Hebrew he get laughs among secular audiences as well as those based in synagogues. Nonetheless, he said being Jewish was not a hassle when he was growing up. 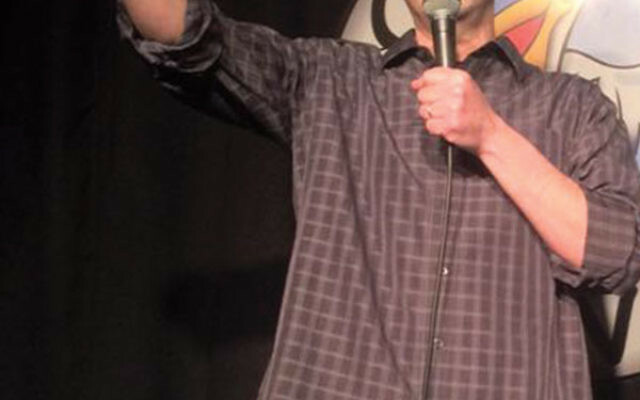 For two years in high school, he and several friends hosted a comedy show on a local radio station, WAIF, where they played albums from all the popular comedians of the day such as Lenny Bruce, Bill Cosby, The Firesign Theater, and The Credibility Gap. “I don’t work dirty. I have nothing against people who do, but for me it is a place of last resort. I think you have to do what is right for you,” he said. Bernstein will be appearing at Temple Sholom in Scotch Plains on Feb. 25 at 7 p.m. For more information, go to sholomnj.org.